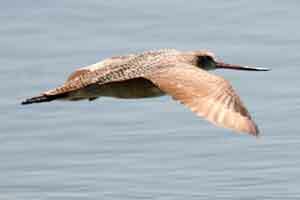 Websites offering specialized information on bird conservation in the San Francisco Bay Area. Support the Feather River Land Trust and Plumas Audubon Sierra Valley!! click here! An analysis by the National Audubon Society reveals that environmental threats are taking a toll on some of California's most beloved birds, including the Pintail (96% decline since 1967) and the Loggerhead Shrike (76%). Bob Lewis is a well-known speaker on a variety of bird subjects. He has frequently spoken at Audubon Societies, Benevolent Societies, Conservation groups, etc. and has taught bird-related classes for 18 years at Adult schools, museums and Audubon Societies. Here is a listing of currently available presentations, all richly illustrated by Bob's photographs.